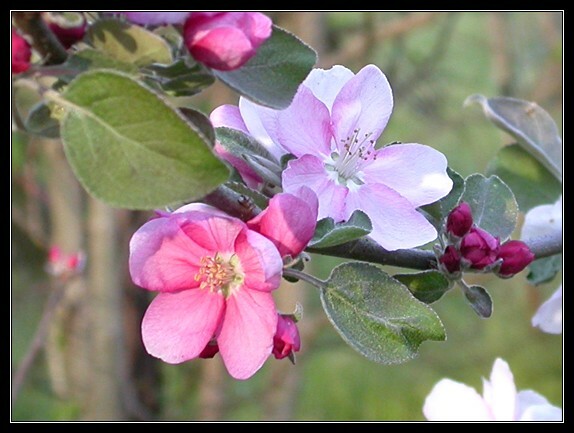 Apple trees bloom during the last week of March at the organic farm. 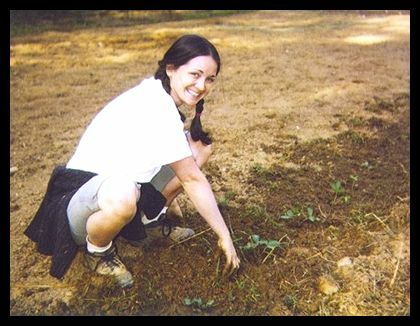 University of Georgia student planting strawberries. 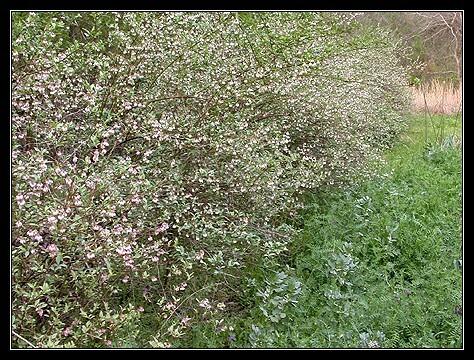 Rabbiteye blueberries in full bloom during the last week of March. 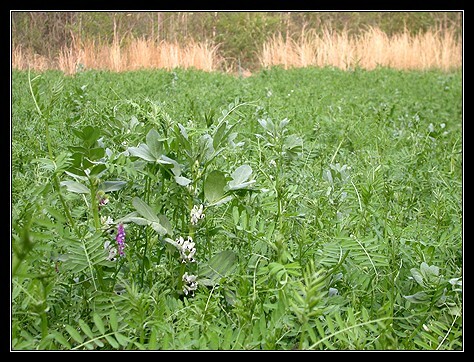 A cover crop protects and enriches the soil during the winter. 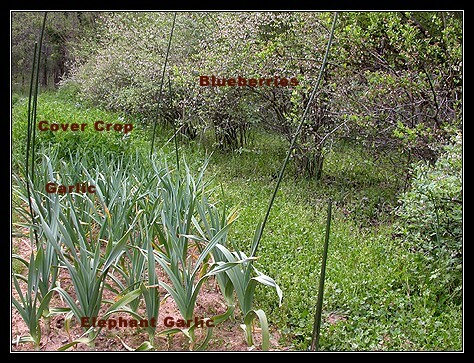 Garlic and elephant garlic are planted in November and harvested the following summer. 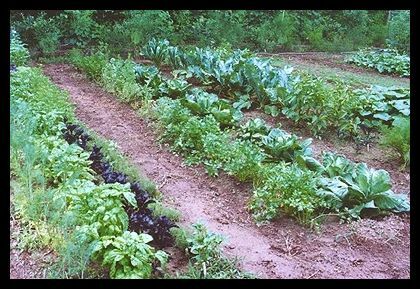 Dill, basil, parsley, cabbage and cauliflower.